You just cut open a fresh avocado from Mexico, how are you going to save the other half? With these easy tips on how to save half of an avocado, you’ll be able to enjoy the fresh deliciousness throughout the week! 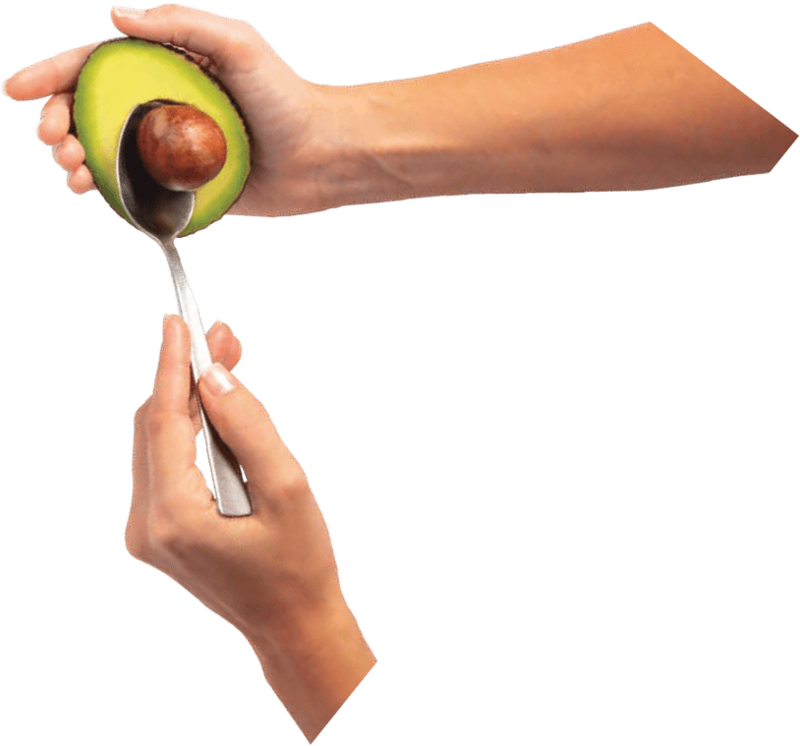 Cut open the avocado and remove the pit. Immediately coat the flesh of one half with fresh lemon juice. 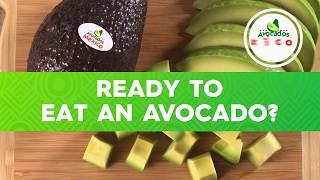 Wrap the avocado half in plastic wrap and place in the fridge. It’s as easy as one, two, three. An even easier method is to submerge your ripe avocado in water. 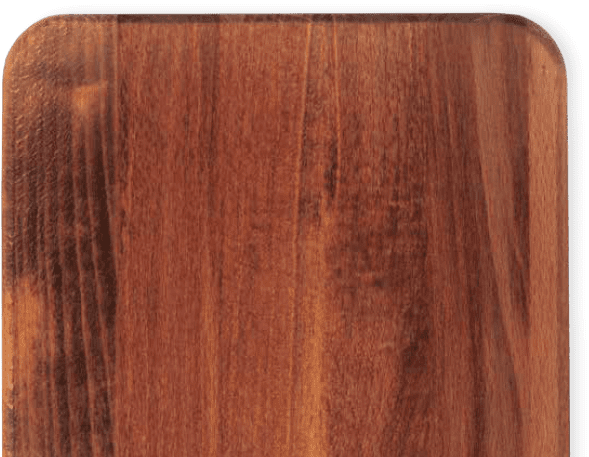 Cut your avocado in half and fill a glass or plastic container near full with water. With the flesh-side down, place the avocado in the container, cover, and place in the fridge. This will keep the avocado from turning brown for about another two days. 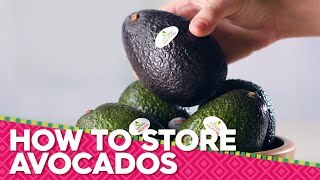 If your avocado is already ripe but you aren’t planning on eating it quite yet, simply place the whole fruit in the refrigerator. This will let you enjoy your avocado a few days later! 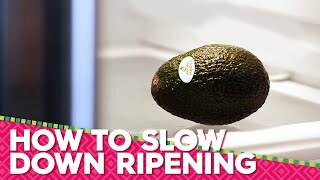 Check out our video guides if you need any tips on ripening your avocados or take a look at our avocado recipes for tasty ideas on how to enjoy them! So you have two halves of an avocado. You ate one. What are you gonna do with the other one? Are you gonna hide it in the drawer ’cause it’s getting brown? No! Are you going to throw it in the trash can ’cause it’s not good anymore? Never! 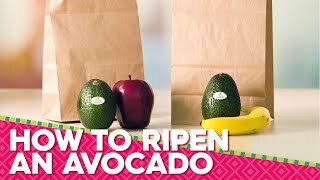 What you are going to do, you are going to squeeze a little bit of lemon juice on top of the avocado from Mexico, or just rub it around the exposed flesh of the avocado, and then you’re gonna cover it with plastic wrap, very tight, and pop it in the fridge. It will prolong its flavor and beauty for a few extra days. Just check it every day. Simple as that.